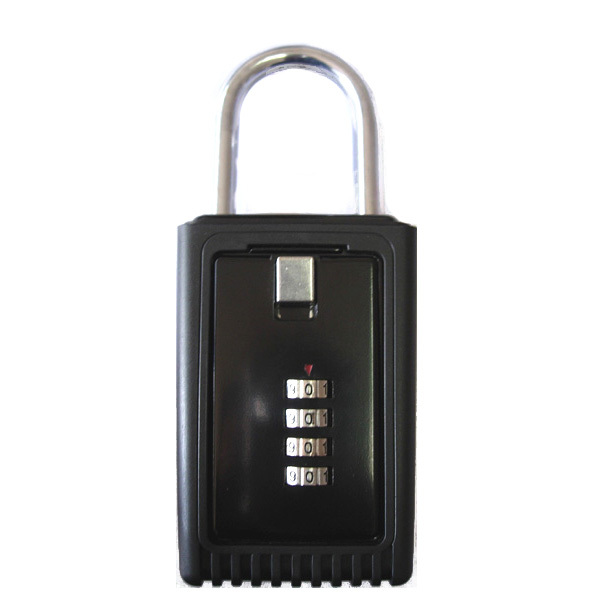 Keep your keys safe, use the Realty Lock Box with numeric combination. 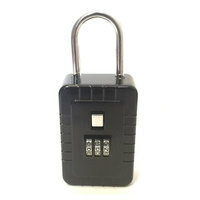 This heavy duty 4 wheel numeric combination lock box features a hardened steel shackle and easy set combination code. 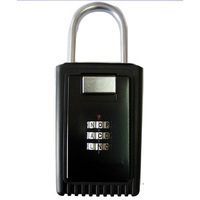 Hang the key lock box on any door knob, fence, railing or handle. 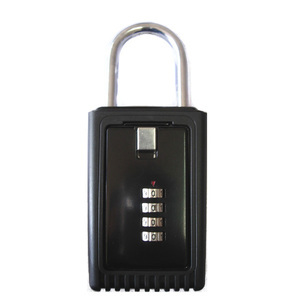 The shackle is covered with protective sleeve and box has rubber coat to prevent door damage. Four combination code wheels are numbered from 0-9 allowing any combination to be set in seconds without tools or disassembly. 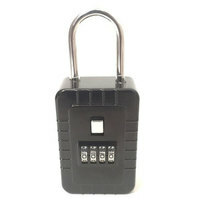 This is the ideal Realty lock box for REO properties and Real Estate agents. Excellent product and easy to use. I've used this for over a year now on over a dozen properties. Fits on all knobs without a problem. How do you reprogram the code?